It’s two years this week since the Northern Ireland Assembly collapsed. Members of the Legislative Assembly (MLAs) still continue to operate at a constituency level but the parliament has not met. Amidst this frustrating circumstances our public leaders had the opportunity to meet with some MLAs recently and here Ricky Lewis, one of our research assistants, reflects on the evening…. 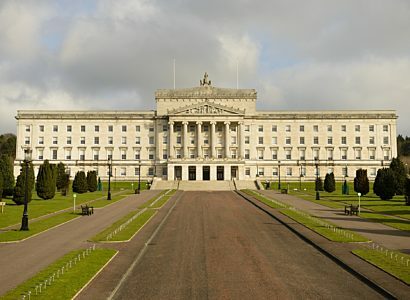 On the Monday, 3 December, the Parliament buildings at Stormont hosted Public Leader: Northern Ireland’s participants. We got all dressed up and enjoyed a Christmas dinner and great craic with each other and with three of Northern Irelands MLAs. 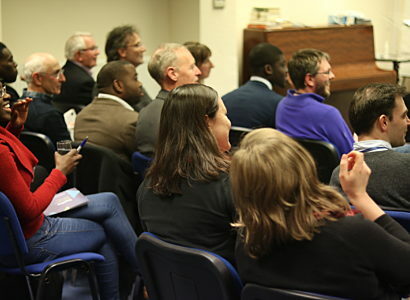 The second half of the evening saw the politicians introduce themselves and tell us about how they came to faith. All three shared about their journey into politics and something of their vision of the direction they have for this place. Our public leaders got the opportunity to ask some questions and have some conversations with the MLAs. Questions ranged from reconciliation to the perceptions of Christians in politics in Northern Ireland. One such question touched on the area of conscience and what happens when personal conscience appears to conflict with public representation. Politicians are obviously responsible for representing the views of the people that vote for them but this representation has to be embodied with integrity through a conflicted human being. This can be a challenging environment and one in which character will be tested. This tension between the requirements of a job or the culture of a career field and the character of the Christian leader is one that has come up frequently over the course of this year. Each politician was asked if they were First Minister of Northern Ireland, what would be the first thing they would do or change? Encouragingly the answers were non-partisan focusing on a range of issues from education to poverty to tackling mental health issues. The evening concluded with our candidates being able to pray for our MLAs and better able to understand some of the challenges and opportunities they face daily in public life.